Rent an RV and bask in the natural beauty of North Carolina, “The Tar Heel State”. With over 900 miles of hiking trails and plenty of breathtaking landscape, your North Carolina RV rental vacation is sure to be well worth the wait. Take your North Carolina RV rental into the mountains and you’ll see the Appalachian mountain chain running through the western region of North Carolina. Mount Mitchell, the highest peak along the USA’s east coast, stands tall at 6,684 feet. Your RV rental mountain vacation will be incomplete if you don’t see the Great Smoky Mountains (pictured here) because they are what makes North Carolina one of the USA’s top scenic attractions. You could then take your North Carolina RV rental through the strikingly beautiful moutain ranges on the world-renowned Blue Ridge Parkway. If you drive your North Carolina RV rental into the central region of North Carolina, you’ll find dynamic economy at its best. Central North Carolina is filled with sloping foothills, North Carolina’s biggest cities, large financial institutions, top-notch universities, industrial centers, textile and furniture factories, highways, tobacco farms (main agricultural industry), high-end shopping, top golf courses, historic sites, and entertainment venues. Central North Carolina’s climate is mild and sees the sun 210 days of the year. For those who are driving their North Carolina RV rental toward the coastal area, you will find sunny, unspoiled beaches, gigantic sand dunes (highest along the east coast), and wetlands packed with wildlife and plants. Don’t forget to make a stop at the Outer Banks, a chain of delicate barrier islands containing 130 miles of pristine coastline that’s enveloped by 900 square miles of water. To add some history to your North Carolina RV rental, you’ll find places that date as far back as the 16th century. There are historic sites from the pre-Revolutionary War Days and very old lighthouses including Cape Hatteras Lighthouse, also the tallest on the USA’s east coast. To see a major US seaport, drive your RV rental to Wilmington. Food is extremely important to the people of North Carolina. Toward the South Carolina border, you’ll discover a fishing village called Calabash where you’ll eat an excellent assortment of fresh seafood. There are all sorts of food festivals held in North Carolina every year. A North Carolina favorite is pork, especially pork that’s been barbecued. You’ll eat BBQ pork in a variety of ways at these festivals and if you bring some ideas home to your kitchen, you’ll revisit your North Carolina RV rental vacation whenever you sit down to eat these fabulous foods. 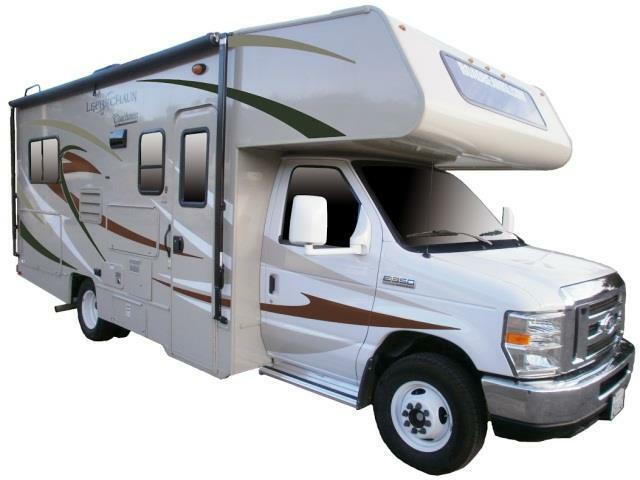 See our RV rentals in North Carolina.